Archaeologists working in Muszkowice (Lower Silesia) discovered two burial mounds from the early Middle Ages. They were surprised to find that the mounds were located in the vicinity of an over 4.5 thousand years old megalithic tomb. In the beginning of 2013 archaeologists reported the discovery of a dozen unknown cemeteries from the Neolithic period, approx. 4.5 years ago. All of them were in Muszkowicki Forest (near Ząbkowice Śląskie, Forestry District Henryków). Only seven had been known before 2013. 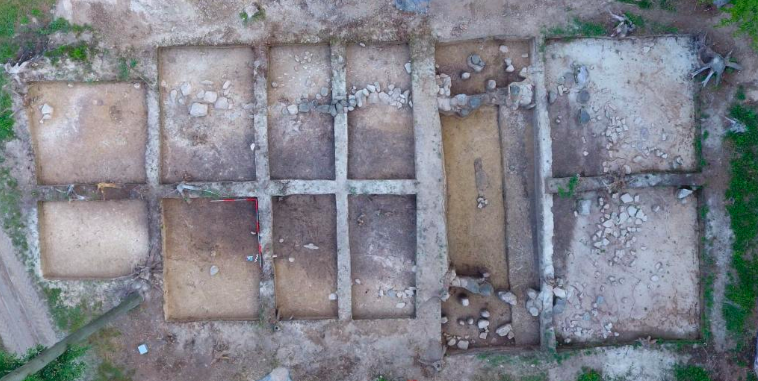 This year during the research in one of them in Muszkowice, archaeologists made an unexpected discovery - two small circular burial mounds adjoined a monumental tomb. "Archaeological research carried out in various places in Poland confirms the use of cemeteries for many centuries, from prehistory to the early Middle Ages. But there are few such evident and well-preserved examples, especially in the form of structures visible above the surface" - says head of excavations Dr. Agnieszka Przybył from the Institute of Archaeology, University of Wrocław. The research project is financed by the National Science Centre. During the excavations that have been going on since May, archaeologists partially dug up both the Neolithic structure and the more recent burial mounds. They determined that the Neolithic tomb was about 45 m long and resembled an elongated trapeze. It was surrounded by a circle of huge boulders, and the whole structure was covered with soil. In the embankment, archaeologists found fragments of several broken vessels attributed to the representatives of the funnelbeaker culture - megalith builders, whose range included present-day Poland. A piece of a stone axe and flint tools were also found. "Unfortunately, we were not able to locate the burial. The tomb was partially destroyed by a wide, modern ditch in the place where we expected to find the remains of the deceased. The work is ongoing and it we can not rule out that the tomb still hides the remains associated with the burial ritual" - the researcher hopes. After a few thousand years, around the 9th-10th century, more tombs were built in the "tail" of the Neolithic tomb. "These were small structures in the form of circular embankments. In the embankments we found fragments of destroyed ceramic urns along with burned human bones" - says Dr. Przybył. Items discovered in the course of research, including fragments of vessels and iron spurs, helped determine the age of mounds. "Interestingly, this is not an isolated case. 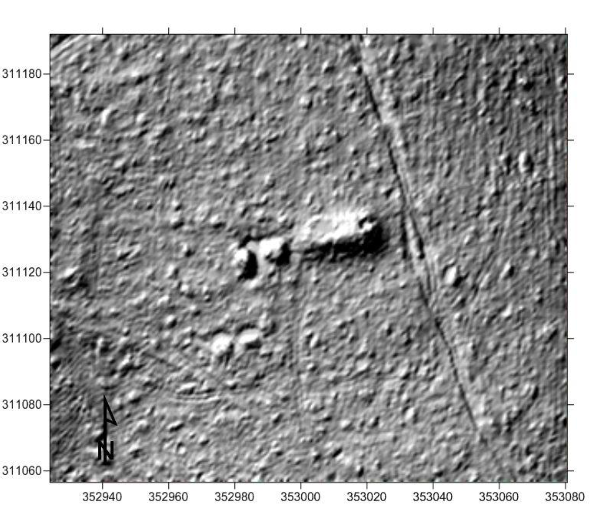 Less than two kilometres west of the site, in the same forest, we found a similar arrangement of sepulchral (burial - PAP) structures - an oblong Neolithic tomb accompanied by two more recent burial mounds" - the researcher adds.